The Betsafe Casino Red site is one of the varied internet betting products on offer from the Betsafe group. The Betsafe group has been going strong since 2006 and now covers a range of betting activities in over 100 different countries. The first impression of the site is of a very slick and good looking place to try out some wagers. The home page is well put together, offering a lot of information without being all cluttered. There is a list of the site’s 10 most popular games and then, slightly unusually, a complete list of all of the games to be found there. This comes in at 130 games and while that sounds like a lot to squeeze onto one page it has been done well enough to make it still look good. The list of latest winners and the constantly updating progressive jackpot totals (for Hall of Gods and Mega Fortune) add some excitement to the site. There is also a link to a great story about how a Betsafe player recently won €3.9 million on the Mega Fortune game. 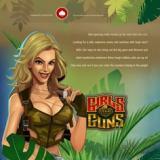 As we have already seen, there is no shortage of games to play on the Betsafe Casino Red site. The list of the most popular games seen on the home page includes mainly slots games. Magic Portals, Reel Rush, Fisticuffs and Beowulf are some of the great names to look out for here. Apart from the slots, there is also a good selection of other casino games, such as Roulette, Bingo, Bonus Keno and Baccarat. It is easy to scan through the list of games on the home page and quickly work out which ones you are most interested in playing. A nice promotion for new players is always a big attraction in any online casino. In the case of the Betsafe Casino Red site there is a promotion currently on offering up to €200 on your first deposits. This refers to a 100% deposit bonus in this site and the same in the company’s Casino Black site. The only other offers on the site are related to the firm’s other betting products, such as sports betting. There is little to pick fault with in this internet casino site. It is well laid out and the selection of games on it is impressive. Getting started on the Betsafe Casino Red games is easy and the only slight complaint could be about the relative lack of promotions on the site. It would have been nice to see a few more promotions, with some aimed at keeping existing players happy. However, it is worth having a look at the site and seeing if it is strong enough for you even without any extra bonuses. Free slots, games and instants are available to unregistered players. You can play for fun or money. Lithuanian, Danish, English, Swedish, Finnish, Norwegian and Polish.